LISA VINEBAUM - New Demands? When We Strike We Win! New Demands? 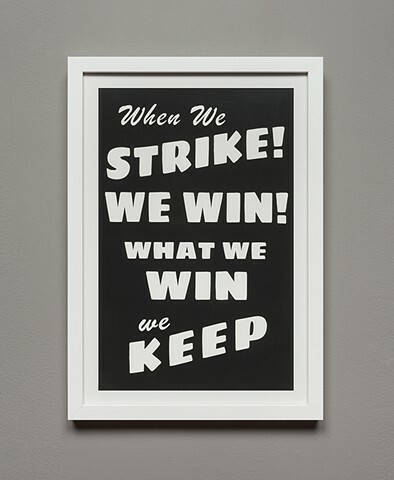 When We Strike We Win! Recreated based on a placard used in a protest organized by the ILGWU. Exact date unknown, but after 1935 when the year that US Supreme Court overturned the National Recovery Act. As observed in an archival photograph.